The Land of Sky Clean Vehicles Coalition, Haywood County Soil and Water Conservation District and NC Department of Agriculture and Consumer Services are sponsoring an exciting forum entitled “Biofuels In Haywood County: A forum for potential users of biofuels”. The free program addresses the many questions of biofuel use in Haywood County. The Haywood Biofuels Forum is Friday, December 8, 2006, 1:00 to 3:30 p.m. in the downstairs auditorium at the Haywood County Agricultural Agency Center at 589 Raccoon Rd. in Waynesville, NC. Fleet mangers, school officials, farmers, and the public are invited to join with biofuel experts and local, state and federal government representatives at the Biofuels in Haywood County Forum. Financial support for the Forum is being provided by the State Energy Office. Topics include an Overview of the Advantages and Statewide Status of Biofuels; Experiences with Biodiesel in fleets and equipment; Benefits to Farmers using Biofuels; Commercial Availability and Costs of Biofuels; and The Clean Cities Program and other Funding and Technical Assistance Programs. 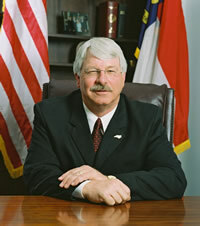 Special Guest Speaker will be NC Commissioner of Agriculture Steve Troxler. Use of biofuels in North Carolina and across the nation is increasing. Biodiesel, a mixture of petroleum diesel and biologically derived diesel fuel, is available at some commercial gas stations or by delivery from biofuels distributors in the region. Biodiesel is commonly derived from soybeans or recycled restaurant grease. Although the fuel can be burned in a pure form (B100), most often it is mixed with petroleum diesel to provide B20 (20% biodiesel/80% petroleum diesel). Most diesel vehicles require no modifications to burn biodiesel. Another biofuel is ethanol blended with gasoline. The ethanol is derived from corn and added to gasoline to provide a product such as E10 that is 10% ethanol or E85 that is 85% ethanol. E10 can be used in any gasoline burning engine and E85 can be used in “flex fuel vehicles” provided by some major vehicle manufacturers at little or no additional cost. Interest in biofuels in the US is shared by farmers, consumers, conservationists and entrepreneurs as well as many others who recognize the importance of national goals to reduce dependence on foreign oil and improve air quality. Some school systems have begun using biodiesel to reduce the hazards of exposing school children to the toxic emissions of petroleum diesel. Biofuels also present local opportunities for economic development. To register or for additional information, please call Bill Eaker with the Land of Sky Clean Vehicles Coalition at 828-251-6622 or Gail Heathman with the Haywood Soil and Water Conservation District at 828-452-2741 (Extension 3). The Natural Resources Division was highlighted for our collaboration with Neil Thomas (Resource Data, Inc) on developing ways of looking at landscape change at the watershed level and a wat ershed development index. The hope is to take Neil's work in this area and develop training modules that can be offered through the college in a variety of ways: Curriculum, Continuing Education and more. Making the decision to study Natural Resources was a big step. Now that you have made that decision you need to figure out a place to attend. This can also be a daunting task. You want a place you feel comfortable at, with a reasonable cost of living, lots of opportunity for extracurricular activities, and, perhaps most importantly, a location that will enhance your studies and give you experiences locally that others might have to travel far to enjoy. There are many excellent colleges around the nation and world with program offerings in Natural Resources. Haywood Community College is located in Western North Carolina, an area well-known for its natural beauty, Haywood County boasts many mountains over 6,000 feet, outdoor recreation of all kinds, and a small town lifestyle. Haywood County is bordered by the Great Smoky Mountains National Park and the Blue Ridge Parkway. Asheville is the nearest large city and is located only 30 minutes away. The College's 320-acre Raymond J. Fowler Conservancy and Teaching Forest and its 54-acre John T. and Catherine Beaty Natural Resources Classroom are used for surveying, data collection, and forest ecology. Moreover, Haywood's entire campus is a designated arboretum, with an impressive plant collection. Recently (August 2006), National Geographic did a feature on this region that highlights the wealth of biodiversity and rich history of this region. 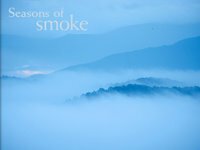 Seasons of Smoke was a feature article on The Great Smoky Mountains in the "backyard" of Haywood Community College. This excerpt from the NG article will give you some idea of what living here would be like and what the opportunities for local study in Forestry, Wildlife, GIS, Horticulture, and other areas would be like. "Surely these are, if nothing else, the most perfectly named mountains in the world. "Great Smoky Mountains": The words conjure fog drifting off a breathing canopy of trees, mist rising above a waterfall, the soft warmth of southern air. Perhaps, as well, the tang of barbecue chased down with moonshine whiskey. But whoever may have coined that poetic phrase, his identity, or hers, is lost to history. Some say it harks back to the Cherokee word for blue—shaconage—for these ancient summits seem cloaked in the woodsmoke of a thousand vanished council fires. When its boosters brag about the qualities of Great Smoky Mountains National Park, they mention both its wildness ("the last great virgin forest in the East") and its proximity to civilization ("within a day's drive of more than a third of the U.S. population"). It seems an impossible paradox, especially as you inch your way through Gatlinburg on Highway 441 toward the park's busiest entrance, past an unbroken wall of motels, waffle houses, and T-shirt shops on either side. How could an area like this possibly contain some of the most verdant habitats and sublime mountain vistas in eastern North America? Yet once inside the park itself—through which Highway 441 continues, but now as a kind of tunnel through lush foliage—it is clear that you have entered a different world. The park's 814 square miles (2,100 square kilometers), stretching in an oblong mass across the Tennessee-North Carolina border, put it nearly on a scale with great western parks like Yosemite. But visitors who come in search of Ansel Adams landscapes may be disappointed. They will find no glaciers here, no geysers, no heart-stopping canyons. There are, wrote one early traveler, Horace Kephart, "no ribs and vertebrae of the earth exposed. Seldom does one see even a naked ledge of rock." Instead, these ancient, eroded mountains are covered by a living carpet of green. The vast wealth of the Smokies is in the region's profusion of animal and plant life—riches that have only recently begun to be fully appreciated. Since 1997, a coalition of scientists, naturalists, and citizen volunteers has undertaken a treasure hunt to identify and catalog every single species found in the park. The survey is the most ambitious and sustained effort of its kind ever conducted in North America. So far the tally stands at 14,000 and counting—among them some 600 living organisms previously unknown to science, many of which probably exist nowhere else. Most of these are not what one would call "charismatic" species: They include snails, beetles, moths, and new types of algae. Still, scientists say the findings indicate a level of biodiversity rivaled by few other places on the planet outside the great tropical rain forests. And they believe that the Smokies' ultimate species total may reach ten times the current count." Officers of the HCC Horticulture Club along with Instructor George Thomas decorated the Shook - Smathers House for the Holidays and an upcoming wedding. You might also note the wonderful new turf that was installed by the students last spring. This is one of several community projects that the Horticulture students are involved in. More info: Built in 1795, by Revolutionary War veteran Jacob Shook, the Shook House lies close to the Pigeon River in Clyde. It is one of the oldest if not the oldest house standing in Haywood County. Francis Asbury, famous traveling preacher who helped establish Methodism in the United States, stayed in the house in 1810. Revival meets were held in the attic and camp meetings were held on bottom land adjacent to the house. The original part of the house is of post and beam construction. Interested in one of the programs listed above? Contact JENNY. She will set up an appointment for you with an adviser in the program of your choice.